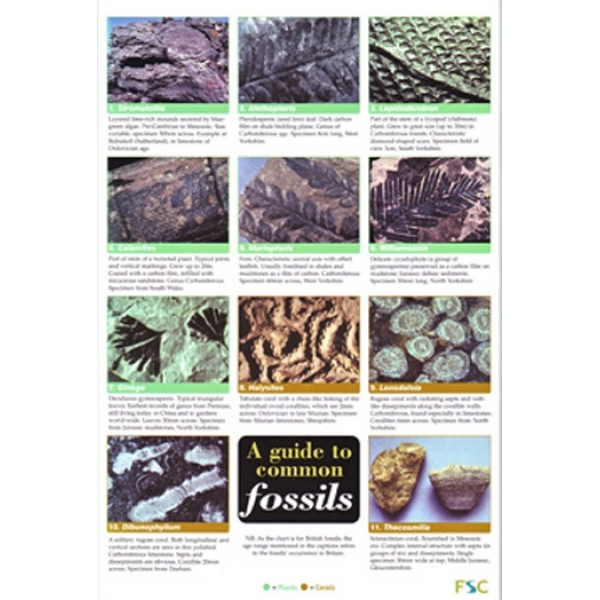 Common Fossils, a 12 page laminated fold-out chart. 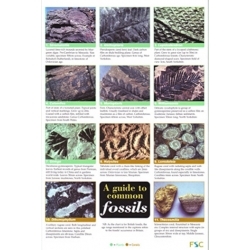 Home » CHARTS » Common Fossils, a 12 page laminated fold-out chart. 12 page laminated fold-out chart. Fossil identification. This includes illustrations of 71 fossils, explains how fossils are formed and their geological importance as well as notes on the main groups of organism found as fossils.